.... in this picture (below) you can see the kitchen sink and beneath it, are an assortment of bits of cooking equipment, and the bucket (the metal Frytol one) to collect water in... the water pretty much grows our potatoes... we do have plumbing, but most of the water goes out in the bucket. I was doing a lot of cleaning up today and I came across this "half- finished" painting from some time ago.... I like it. 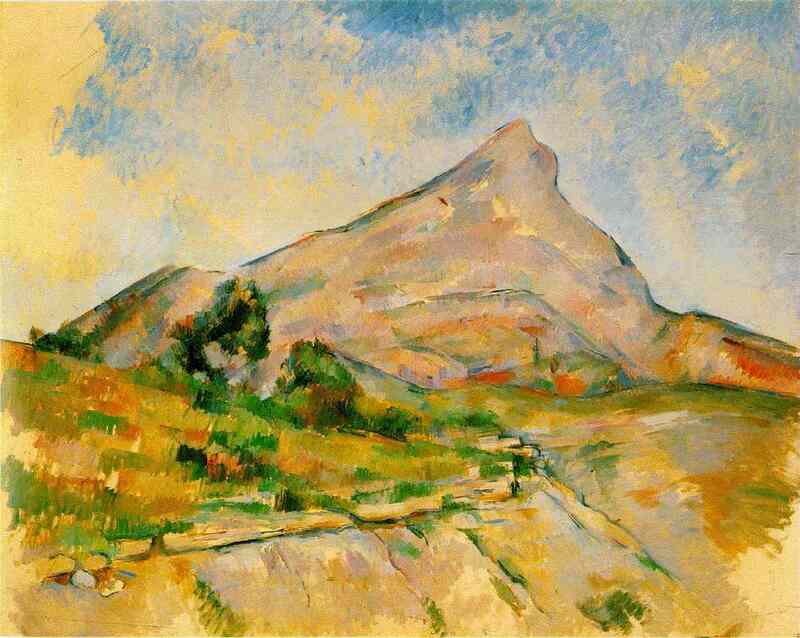 It is a painting of Mt Light, and it reminds me of Cezanne's paintings of the mountain near to his house... here ... different, but equally stylised. He has other paintings of the same mountain that have the same geometric look to them too. The green mountain one reminds me of georgia okeffe, calm and smooth.